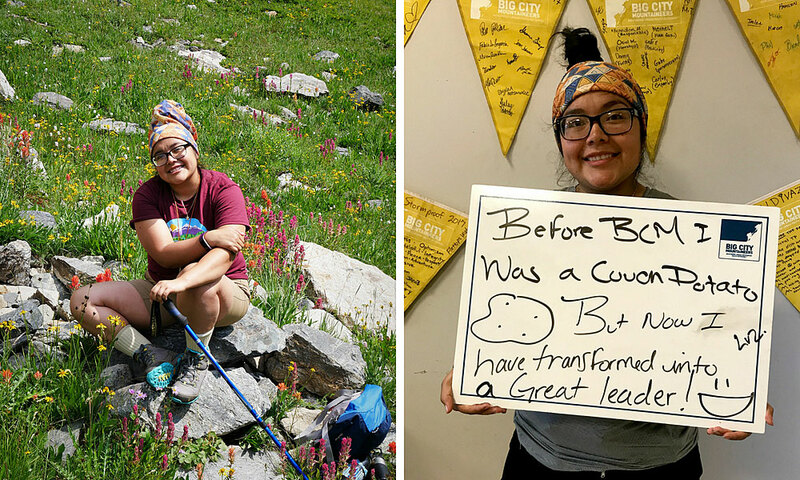 When you talk with BCM student, Luz, about her outdoor experiences and involvement with various youth development organizations, she’ll tell you how grateful she feels that she ended up in these positions. She smiles and shakes her head as she describes how she procrastinated on applications and showed up late to interviews. Last summer she even reflected that she used to be a “couch potato.” At home she had negative influences that produced stress. She would often struggle to make decisions that were in her best interest and instead carried the burden of trying to please others. Over the course of the week, as she deepened relationships and learned what she was capable of, she started to display more courage and determination. She remembers the moment she reached a turning point on the trip – it was on her summit day, as they were climbing a rocky mountain hillside. She thought to herself “this is great, this is so awesome!” as she faced a challenge and conquered it by her own strength. She thrived so much in that situation that while she was charging up the hill she switched her focus to motivating others who were struggling with the ascent. Her encouragement of her peers caught the eyes of BCM staff on the trip. 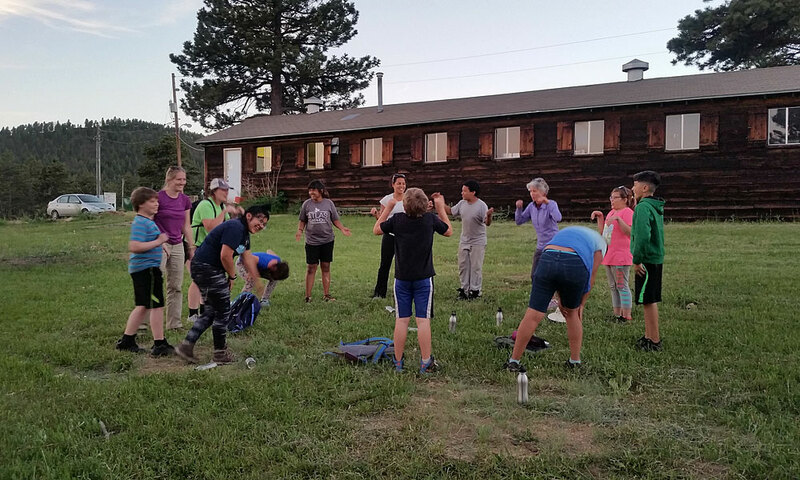 The staff recognized budding leadership qualities within her and suggested that she apply to be a BCM camp instructor for elementary aged kids the following summer. Luz returned home on a high, having found a new hobby she loved! 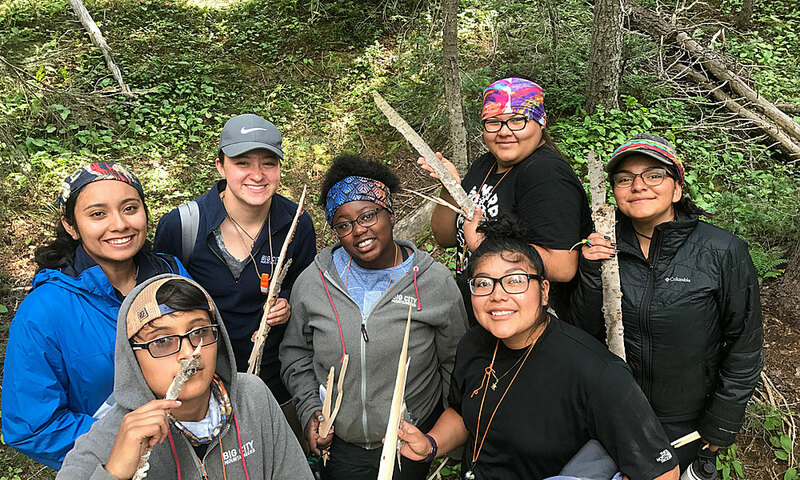 In her words, it changed her “whole perspective on this world.” Her passion and enthusiasm landed her the position of camp instructor the next summer, to which she carried her growing confidence and leadership skills. In her new role, she used her past struggles to identify with the students. At one of the camps, there was a young girl whose mother had passed away. Luz related because her mom passed away around the same age. The two bonded over their shared grief, and the girl left camp feeling comforted by Luz’s new friendship and understanding. In that moment, Luz recognized everything had come full circle – she was able to put a smile on the girl’s face just as so many mentors had done for Luz previously. It inspires us to have seen Luz transform – in her own words – from a couch potato into a great leader! She credits her experiences outdoors with this newly revealed confidence and ability to trust her gut because “in the outdoors, that’s what you have to do – follow your gut.” She has now shifted her focus to pursuing a career in social work. We’re looking forward to hearing about the lives Luz will continue to impact with her expressions of empathy and desire to pay it forward, thanks in part to her adventures outdoors.